Sat. 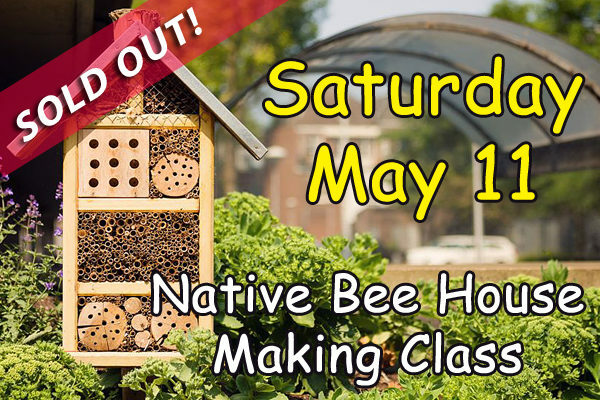 May 11 Native Bee House Making Class (18+) – Southwest Honey Co.
Did you know that Indiana is host to over 430 species of bees? Due to loss of habitat and other factors, their population numbers are rapidly falling. But, one thing you can do to help is to give them a place to live! We’ve partnered with Wood Farms to offer a Native Bee House Making Class on Saturday, May 11. 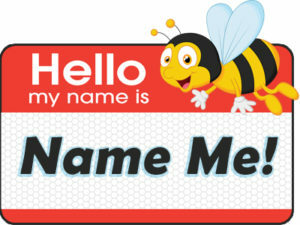 We’ll bring all the supplies you need to assemble, customize and decorate your very own Bee House (approx. 8”w x 15” h x 7”d)! Snacks, drinks and an information packet will also be included with each ticket. This event is best experienced in pairs, if you want to bring a friend or your mom (Mother’s Day weekend) to help #savethebees. Persons 18 years or older may attend this event. Tickets for the afternoon include a locally prepared Native Bee House Kit, customizable features, decorative elements & instruction. As well as a short interactive presentation, snacks, drinks and honey tasting. 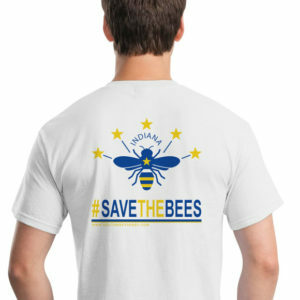 Proceeds go towards creating sustainable habitats for pollinators, promoting awareness of their population decline & educating the public on ways they can help. This event will be held in the main barn at Wood Farms – 11402 Indianapolis Rd, Fort Wayne, IN 46809, the region’s largest organic hay producer. You may have also tasted Wood Farms’ natural beef and pork at Bravas, Tolon, Proximo and more restaurants throughout the Fort Wayne, Indiana area. > Map Directions. Follow the main drive to the parking area near the barn. Fun, Relaxing, And Hands-on Activities! – Build a native Bee House to take home (we provide a basic kit). Guests may need to use a power screwdriver, screws, small nails, glue and other low-effort/ easy assembly and decoration methods. – Customize the inside of your Bee House with many organic options that bees will love! – Decorate the outside of your Bee House with natural elements. 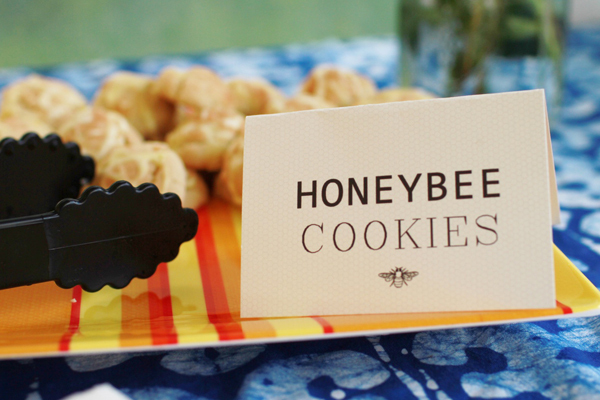 – Try snacks, drinks and of course local honey! – Experience a short interactive presentation about how you can help native pollinators at home! The Native Bee House Making Class has been designed by our volunteer educators Megan Ryan and Mackenzie Kneller, who have a wealth of knowledge and a passion for pollinators. This event comes complete with experienced educators and knowledgeable volunteers which allows each guest to have an intimate, fun and enjoyable experience. This event has been designed to open the minds of our adult students, bringing them outdoors and connecting them with the natural environment. Our program and your experience has been brought to life with the assistance of USDA SARE (Sustainable Agriculture Research & Education), Betterbee, Wheeler’s Bees (Ossian, IN), ACRES Land Trust, organic farms, and other local, regional and national organizations. We are members of the American Beekeeping Federation, Beekeepers of Indiana Association and Northeastern Indiana Beekeepers Association. Our partnership with all of these organizations includes sharing information and ideas for educating the public to help pollinators. Appropriate clothing for the outdoors. You may bring your own battery powered screwdriver/ drill, safety glasses and gloves, however it is not required. We will also have tools to share. There will be honey, bumper stickers, and apparel available for purchase. We ask that you arrive approximately 15 minutes before the Native Bee House Making Class begins. This will allow for check-in time and registration. We will cross our fingers that this does not happen, but as we operate outdoors, inclement weather is a possibility. Before and throughout the duration of the Native Bee House Making Class, our educators will be monitoring the weather and other factors that may cause the event to be cancelled. In any such case, each registrant will be emailed and retain southwesthoney.com online credit or have fees returned. Can Someone Under The Age Of 18 Attend The Native Bee House Making Class? Sorry! This is a 18+ event only. Anyone under the age of 18 is unable to attend. Does I Need A Signed Waiver? Yes! Each participant must have a signed waiver in order to participate in our program. Waivers will be provided at check-in. How Long Will The Native Bee House Making Class Last? When Should I Pay For My Tickets? We ask that you pay online at the time of registration. Unfortunately, we cannot accept walk-up registrations. We ask for a 2 week notice prior to the scheduled event in order to guarantee a full refund. 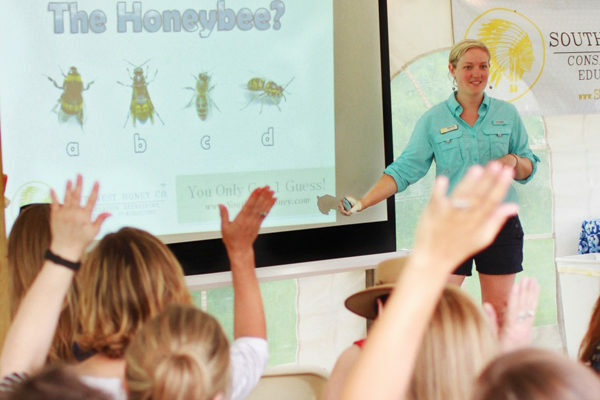 Why Is Education About Honey Bees And Pollinators So Important? Honey bees are declining at an alarming rate- if this issue is left unaddressed, it could drastically change our world’s ecosystem, agriculture, and food production. Honey bees and other pollinators may be small, but they are mighty- we have a honey bee to thank for 1 out of every 3 bites of food we eat! Education is the key! The more people who become aware of ways they can help pollinators, the better off our environment will be. The Native Bee House Making Class takes place at the beautiful Wood Farms – 11402 Indianapolis Rd, Fort Wayne, IN 46809 (View Map). The grounds are home to a plethora of natural wildlife and farmed animals. Wood Farms is the region’s largest organic hay producer. You may have also tasted Wood Farms’ natural beef and pork at Bravas, Tolon, Proximo and more restaurants throughout the Fort Wayne, Indiana area. You will find us in the Main Barn (follow the drive straight in). You will see spots for parking near by. Our Education Director, Megan Ryan (260) 609-2897 will be happy to answer any questions you may have. We have two on-site experienced educators and many knowledgeable volunteers who will be helping make the evening a fun experience! Before and throughout the duration of the event, our educators will be monitoring the weather and other factors that may cause the event to be cancelled. In any such case, each registrant will be emailed and retain southwesthoney.com online credit or have fees returned. The Native Bee House Making Class will be held partially or entirely outside, as such there is an inherent risk associated with any outdoor activity. No unsafe use of tools or materials will be tolerated. We will have a sealed & locked observation hive containing live bees as a part of our afternoon. No alcohol will be permitted to be brought on site. This Native Bee House Making Class is designed to be safe so our participants have a fantastic experience! If you have any concerns about safety, please feel free to contact our lead educator and event coordinator, Megan Ryan (260) 609-2897.